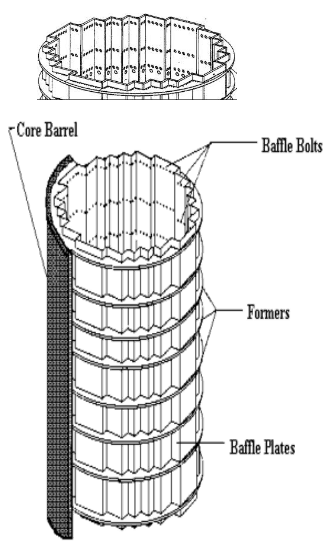 Core Baffle. 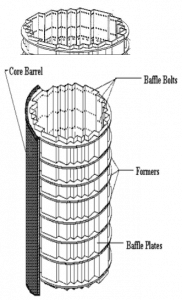 Core baffle consists of baffle and former assembly that consist of vertical plates called baffles and horizontal support plates called formers. 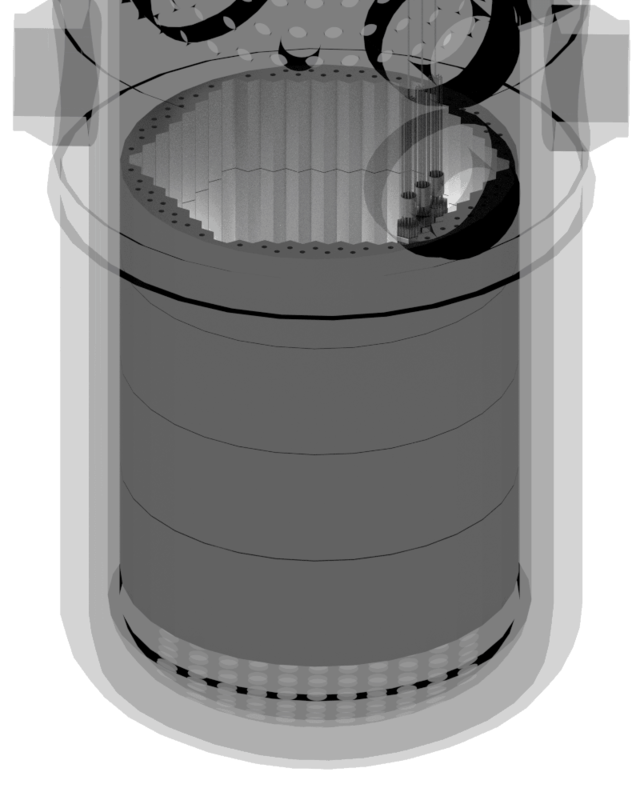 This assembly forms the interface between the core and the core barrel and there is water between the baffle and the core barrel. Since the coolant flow in the former region is significantly reduced by the former, the high flow rate through fuel assemblies is maintained. 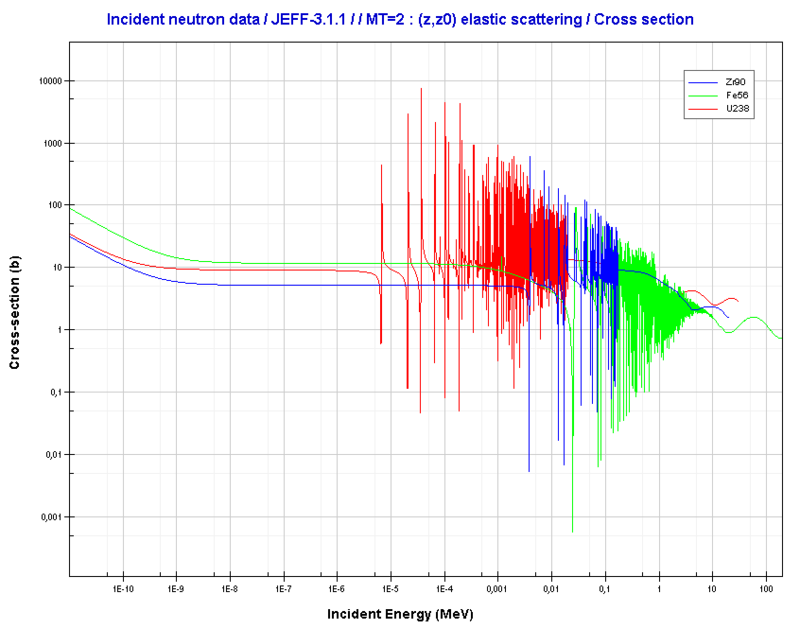 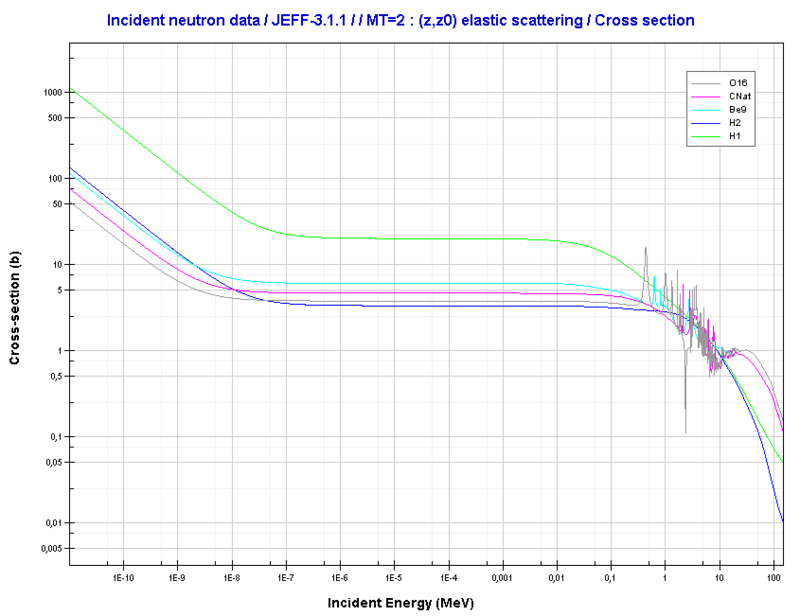 A secondary benefit is that water in the former region reduces the neutron flux on the pressure vessel, which causes an irradiation embrittlement of pressure vessel material.